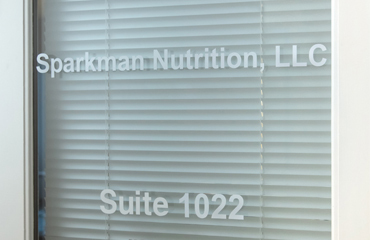 If you need a registered dietitian nutritionist in Austin, Texas, Sparkman Nutrition is the one for you. Contact us today to learn how we can help you change your relationship with food. Sparkman Nutrition can help you today, call now to schedule an appointment. The Overcoming Mind-Hunger Program works to enhance recovery from binge eating disorder, bulimia or emotional eating issues by helping clients change their relationship with food. Overcoming Mind-Hunger addresses energy balance, management of true physical hunger and body acceptance. Once a normal healthy attitude about food emerges, decisions about weight loss or gain can be addressed. This 15-week psychoeducational series is for those who are new to the idea of changing relationship with food. Each class is designed to develop personal awareness as well as genuine understanding of why we eat for reasons other than true physical hunger. Classes include hands-on eating experiences, grocery store trips and basic nutrition physiology. That "need" for chocolate: How food can impact brain chemistry and blood sugar. Emotional eating: Why saying no to favorite foods and eating to suppress feeling is often destructive. Take back control: How to implement a simple four step CALM plan to cope with emotions and cravings. Each class in the group is $50 per 90 minute session, plus a one-time $15 materials fee. These classes are led by Carly Reed Janak, RDN, LD. Classes will be held every Monday from 6:00-7:30 PM. Spring classes begin January 21, 2019. Registration is open. Space is limited and the group is almost full. Register today to secure your place. This 8-week psychoeducational series effectively complements the initial foundation course. Once participants understand why they reach for food and have insight into the mechanics of mindful eating, these classes help develop the skills necessary for successful change. Each class in the group is $50 per 60 minute session. These classes are led by Alexa Sparkman and will be held every Wednesday from 6:30-7:30 PM. Spring classes begin February 6, 2019. Registration is open.